At our Orientation, you can learn about MNN ’s mission and how you can become involved. 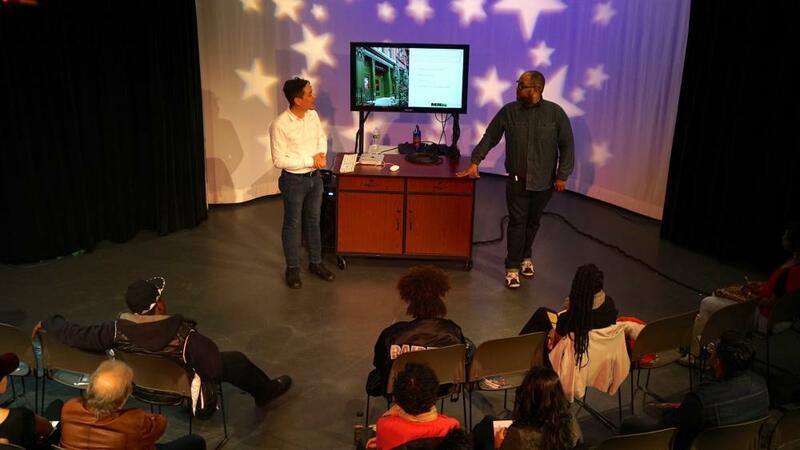 After attending Orientation at either our 59th street or El Barrio Firehouse location, Manhattan residents and non-profit community organizations can take classes and start producing your very own television program to cablecast on MNN’s channels. In order to take certification classes at MNN, you will need to submit proof of residency and identification after you attend Orientation. Learn more about proof of residency and identification requirements online at mnn.org/verification. Please note that pre-registration is not required to attend Orientation. However, it is strongly recommended and seating is on a first-come, first-served basis. We suggest that you arrive at least 15 minutes early to be able to register and ensure that we are able to accommodate you.